Birth circa 1908 John E Hartley was born circa 1908 at AustraliaG. Marriage 1934 John E was married to Lila C Wales, daughter of Hubert Henry Wales and Fanny Martha Young, in 1934 at Waverley, NSW, AustraliaG. Death circa 1980 John E Hartley died circa 1980 at Waverley, NSWG. Marriage 1929 Eileen L was married to Cecil R H Wales, son of Hubert Henry Wales and Fanny Martha Young, in 1929 at Burwood, NSW, AustraliaG. Married Name 1929 As of 1929, her married name was Wales. Birth circa 1915 Zelma Margaret Stanley was born circa 1915. Marriage 1932 Zelma Margaret was married to Leslie Henry Wales, son of Hubert Henry Wales and Fanny Martha Young, in 1932 at Manly, NSW, AustraliaG. Married Name 1932 As of 1932, her married name was Wales. [S329] The Ryerson Index, online http://www.rootsweb.com/~nswsdps/dpsindex.htm, Published in the Sydney Morning Herald on 4 June 1970. Marriage 1892 William J was married to Bridget Wales, daughter of George Wales and Frances Elizabeth Tuckwell, in 1892 at Cootamundra, NSW, AustraliaG. Birth 1893 Margaret M Molloy was born in 1893 at Cootamundra, NSW, AustraliaG. She was the daughter of William J Molloy and Bridget Wales. Birth 1895 Florence E Molloy was born in 1895 at Wyalong, NSW, AustraliaG. Death 1907 Florence E Molloy died in 1907 at Cootamundra, NSW, AustraliaG. Birth 1899 Frances A Molloy was born in 1899 at Cootamundra, NSW, AustraliaG. Birth 1902 Frederick William Molloy was born in 1902 at Cootamundra, NSW, AustraliaG. He was the son of William J Molloy and Bridget Wales. Birth 1908 Dorothy E Molloy was born in 1908 at Cootamundra, NSW, AustraliaG. Death 1914 unnamed daughter Molloy died in 1914 at Cootamundra, NSW, AustraliaG. Birth 1914 He was born in 1914 at Cootamundra, NSWG. He was the son of William Henry Prior and Mary Laura Wales. [S2] Index of BDM records, NSW BDM, Place of Registration: Cootamundra; year: 1891; Number: 11374. [S2] Index of BDM records, NSW BDM, Place of Registration: West Wyalong; Year: 1913; Number: 11771. Birth 1896 Oscar C Prior was born in 1896 at Wyalong, NSW, AustraliaG. Birth circa 1923 Molly Daphne Bateup was born circa 1923; based on the age on her headstone. Marriage 1943 Molly Daphne was married to Charles Henry Wales, son of Michael Wales and Mary Jane Hearne, in 1943 at Boorowa, NSW, AustraliaG. Married Name 1943 As of 1943, her married name was Wales. [S151] Grieves Family and Yass Indexes, online http://members.iinet.net.au/~sgrieves/grieves_family.htm, Binalong & Bowning Cemeteries: page 8 of 12. Birth Maxwell Stewart was born at Wigonshire, ScotlandG. Marriage 14 September 1871 Maxwell was married to Ann Wales, daughter of William Wales and Bridgette Nolan, on Thursday, 14 September 1871 at Junee, NSW, AustraliaG. 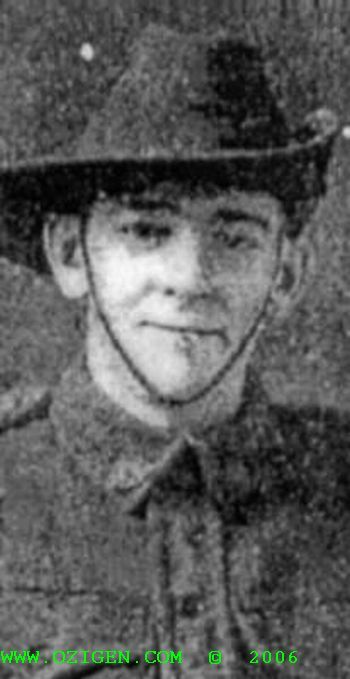 Death 9 August 1918 Robert Leonard Sykes died on Friday, 9 August 1918 at Killed in action, France. Name Variation Robert Leonard Sykes was also known as Len. [S2] Index of BDM records, NSW BDM, Place of Birth Registration: Hay, Registration Year: 1893, Registration Number: 16701. Birth 1898 Percy A Prior was born in 1898 at Wyalong, NSW, AustraliaG. Birth 1902 Clarice I Prior was born in 1902 at Wyalong, NSW, AustraliaG. She was the daughter of William Henry Prior and Mary Laura Wales. Married Name 1923 As of 1923, her married name was King. [S2] Index of BDM records, NSW BDM, Place of Registration: Waverley; Year: 1923; Number: 12850. Birth 1905 Theodore R Prior was born in 1905 at West Wyalong, NSW, AustraliaG. Birth 1909 Walter T C Prior was born in 1909 at West Wyalong, NSW, AustraliaG. [S2] Index of BDM records, NSW BDM, Place of Registration: Mudgee; Year: 1928; Number: 7777.